Global automakers are rolling out more electric vehicles at the Geneva International Motor Show as they try to challenge Tesla and get ahead of a disruptive shift in transportation toward lower-emission and autonomous vehicles. For the European carmakers, the mood at the event could be unsettled by US President Donald Trump’s threat this weekend to slap tariffs on the region’s manufacturers in a potential trade war. And the three big German manufacturers—Volkswagen, Daimler and BMW—will grasp the opportunity to highlight their high-tech creations amid their continued trouble with diesel technology, such as the legal attempts to ban diesel in German cities and the scandal over exposing monkeys to exhaust in lab tests. The carmakers will show off their wares during press days Monday evening through Wednesday; the show opens to the public Thursday and runs through March 18. Here are the top themes. The biggest trend in autos is the race to make new technologies affordable and functional. Some of the vehicles on show—such as Volkswagen’s autonomous and battery-driven I.D. Vizzion—will be concepts not yet ready for production. 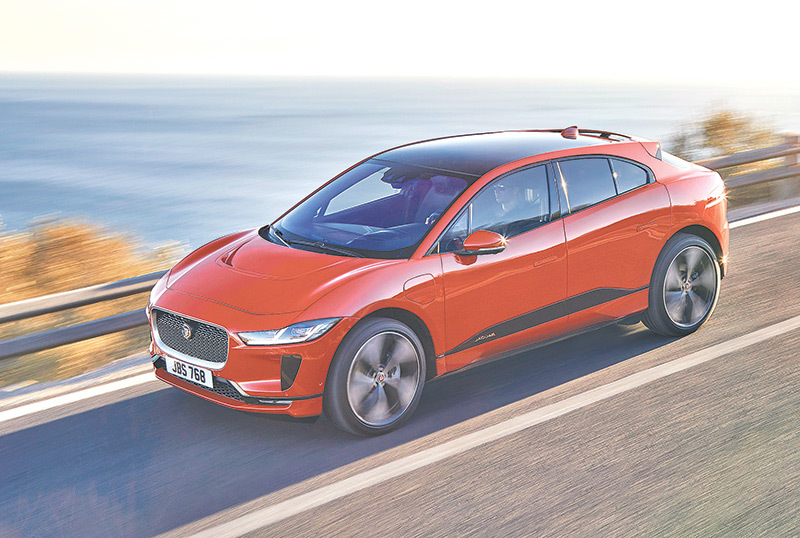 Others will have vehicles that are ready to go on sale in coming months, such as Jaguar Land Rover with the Jaguar I-Pace, a battery-driven SUV advertising 310 miles (498 kilometers) of range and rapid-charging capability. Mercedes-Benz will have an addition to its EQ electric brand. Hyundai will show its Kona Electric, with either a 300-kilometer (186-mile) or 470-kilometer (292-mile) range. Luxury carmakers like BMW and Jaguar are eager to grab back some of the sales of high-end vehicles taken by Tesla with its electric Model S high-performance sedan and Model X SUV. When it comes to technological change there will be more than vehicles to talk about. The German automakers and Ford are working to build a network of fast-charging stations across Europe through their joint venture, Ionity. The idea is to make electric vehicles more appealing by enabling longer trips. Currently, many electric models are charged over several hours at home at night and used for short commutes, limiting their use. Ionity’s 350 kilowatt-per-hour charging capacity could cut charge times to 15 minutes or less. Automakers are under pressure to come up with vehicles propelled by something other than internal combustion engines to comply with government efforts to reduce air pollution and emissions of greenhouse gases blamed by scientists for global warming. The issue became even more pressing after a German court said last week that polluted cities can ban older-model diesels. Diesel sales had already slipped after Volkswagen’s 2015 scandal over cheating on emissions tests. Autonomous vehicles could herald a shift to transportation as a service with less incentive to own a car. Analysts at IHS Markit estimate that autonomous cars will have their first significant sales volume with 51,000 units in 2021 and surpass 33 million per year by 2040. All three German auto makers have condemned the 2014 experiment in which Volkswagen had macaque monkeys exposed to diesel exhaust at a lab in New Mexico. The tests were commissioned through a now-disbanded organization whose board had representatives from BMW, Volkswagen and Daimler. They have said they’re investigating how the tests happened. The show won’t erase public indignation or media questions but at least offers a chance to talk about something other than a PR disaster. Some of the more important vehicles at the show have already been revealed as companies use stand-alone events to show off their new cars rather than putting them on display in a crowd of other vehicles. That’s the case with Mercedes-Benz A-Class, its small entry model hatchback that was unveiled Feb. 2 in Amsterdam. The car features voice-activated control of navigation, phone, music and heating and air conditioning somewhat like Amazon and Google’s devices for home use. The Jaguar I-Pace had a digital unveiling from Graz, Austria on Thursday ahead of the show—showing it beating two Tesla models in a race. Geneva is typically a place to show off gorgeous, extremely fast and very, very expensive vehicles. A taste: Luxury sports car maker McLaren offers the low-slung Senna, named after the race driver Ayrton Senna. Its 800 horsepower turbocharged V8 engine takes it to a top speed of 340 kph (211 mph). Just 500 of the sleek, carbon-fiber vehicles will be built, hand-assembled at the company’s production center in Woking, Surrey, England. The price: 750,000 pounds including tax, which translates to $1.03 million at today’s exchange rate. Want one? Sorry. The company says it has buyers for all of them.